Hello. 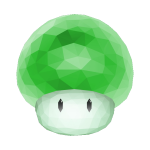 I am 1UPdudes or 1UP for short. I have been hacking SMW for about 9 years and have made a few hacks which you can find floating around on SMWC. On SMWC I'm a member of the Staff Team but I mainly deal with Discord related issues as I moderate it alongside a few other moderators. If you have an issue or enquiry relating to something on Discord then please either PM here or on Discord. As always I am working on my own SMW related projects and hacks so hopefully I'll have something ready for people to play soon.